ASSA ABLOY, Security Doors, a division of ASSA ABLOY, the global leader in door opening solutions, manufactures all its doors in Galvanneal steel, ideal for powder coating to increase durability and corrosion resistance. The hot dipped galvanised steel, originally developed for the automotive industry, offers a coating that is uniformly spread, to provide a consistent appearance over an entire door and its fine matte finish acts as a primer, shielding against rust. A tightly adherent paint film on galvanneal steel lasts longer then it would on non-galvanized steel because the zinc helps prevent rusting and blistering, which reduces maintenance and replacement expenditure and improves whole life costing. 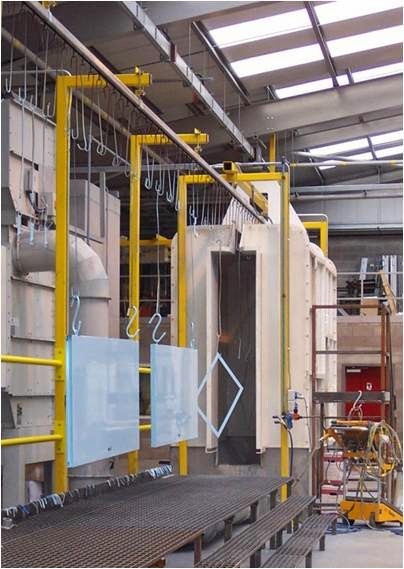 “All our steel doors are manufactured from high quality steel that conforms to both British and European standards. Galvanneal steel offers a far superior coating in comparison to zinc-iron coatings, such as zintec.